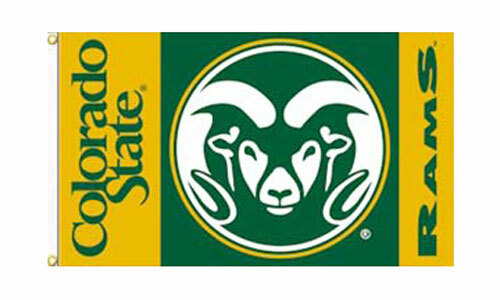 These full color Officially Licensed 3' x 5' Colorado State University flags are made of 150 denier polyester with an extra wide header and have two grommets on the 3 foot side for flying from a flagpole. To be used outdoors or as decoration indoors. The flags have been approved by Collegiate Licensed Products and the University.